Our ointments, creams, and jellies will alleviate pain, treat diaper rash, relieve irritation and itch, protect against infection, and moisturize skin. 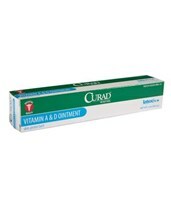 We have a large assortment of ointments, creams, and jellies from Dynarex, Curad, and PDI. Dynarex's Dyna Shield cream contains Dimethicone and is a great cream to use for treatment of diaper rash. 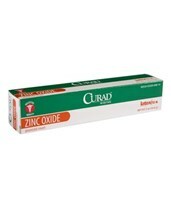 Their Triple Antibiotic Ointment will protect against infection with Bacitracin Zinc, Polymyxin B Sulfate, and Neomycin Sulfate. It is conveniently sold in bulk with a choice of four packaging options; in a .5-gram pack, a .9-gram pack, a .5-ounce tube, or a 1-ounce tube. 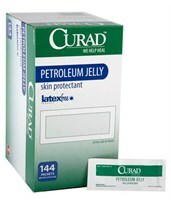 Curad's Petroleum Jelly is used to soothe dry or chapped skin and can be purchased in 1-ounce tubes or 5-gram foil packages in various quantities. 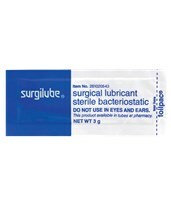 PDI offers a sterile Lubricating Jelly which assist in the insertion of catheters. 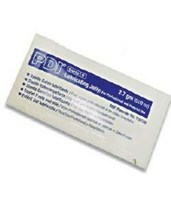 It is water soluble and is therefore easy to wash off. It comes in 2.7-gram packets and is available for purchase either in one box of 144 packets, or in a case of 12 boxes, which is 1,728 packets altogether. Search through the rest of our selection to locate the ointment, cream, or jelly that you are looking for.